This page covers the author of Away. For other authors named Amy Bloom, see the disambiguation page. Amy Bloom (1) has been aliased into Amy Beth Bloom. Works have been aliased into Amy Beth Bloom. So begins this remarkable novel by Amy Bloom, whose critically acclaimed Away was called “a literary triumph” (The New York Times). Lucky us is a brilliantly written, deeply moving, fantastically funny novel of love, heartbreak, and luck. Disappointed by their families, Iris, the hopeful star and Eva the sidekick, journey through 1940s America in search of fame and fortune. Iris’s ambitions take the pair across the America of Reinvention in a stolen station wagon, from small-town Ohio to an unexpected and sensuous Hollywood, and to the jazz clubs and golden mansions of Long Island. Thank you for supporting Amy Bloom and your local, independent bookstore! Amy Bloom's book New Haven Noir was available from LibraryThing Early Reviewers. Amy Bloom's book Lucky Us was available from LibraryThing Early Reviewers. Amy Bloom's book Make Mine a Double: Why Women Like Us Like to Drink (Or Not) was available from LibraryThing Early Reviewers. Amy Bloom's book Where the God of Love Hangs Out was available from LibraryThing Early Reviewers. Amy Bloom's book Away was available from LibraryThing Early Reviewers. 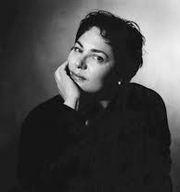 "Amy Bloom" is composed of at least 2 distinct authors, divided by their works. You can edit the division. Amy Bloom is composed of 3 names. You can examine and separate out names.